With a new focus on supporter loyalty and satisfaction, World Vision faced a challenge in how to personalize the child sponsor onboarding process to set the tone and expectations in the critical first 90-days of a new sponsors relationship – the timeframe in which the Sponsor recognizes that either their interests are being served or they are simply being subjected to generic messages and asks. Historically, the collateral of the new Child Sponsor Welcome Series were static, pre-printed brochures and booklets kept in a warehouse that was managed by paid staff and volunteers. 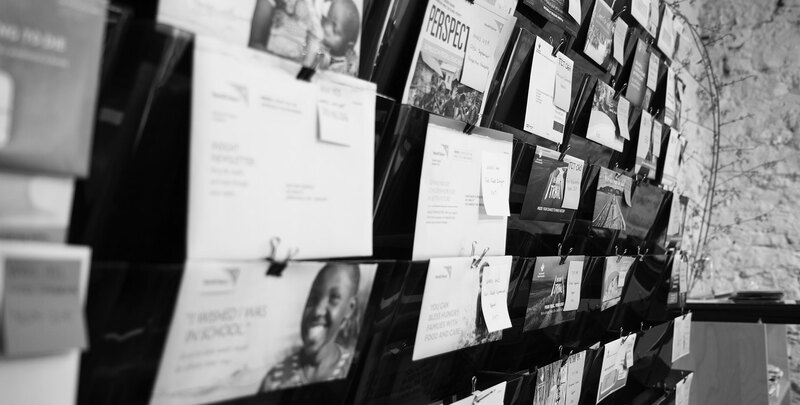 Every time World Vision acquired a a new Child Sponsor their CRM would trigger a “pick and pack” process to assemble the appropriate pre-printed pieces for the sponsor. The process was labour intensive, expensive, and limited to a single channel (print) and was unable to feature customization to unique Sponsor segments as the collateral had to be pre-printed months in advance. As the solutions architect and consultant for the new Welcome Kit initiative, Blue North delivered on World Vision’s vision for a new Sponsor Welcome Series by leveraging our proprietary WhitePage Live data platform to create personalized, data-driven variable creative output. Blue North designed the creative on the Welcome Kit package, integrating World Vision strategy and the variable data requirements. Working in concert with a print partner, we ensured the final deliverable could be fulfilled automatically through a print-on-demand (POD) process and mailed at the lowest possible postage rate.